Recent studies have shown that coconut is very good therapeutic effect for edema due to congestive heart failure. Eating and drinking coconut water, copra will help to smooth skin, keep cheerful countenance, making people even more beautiful. Or even say mean things added, tasty, nutritious, should be to everyone's liking. For the reference and can be effectively applied, would like to present the following medicines from the coconut. * Heat Cure inflammation, eager thirst, the new service vulnerability, sweat, edema, little red cottage: On drinking coconut water 3 times per 150ml - 200ml. * Used for bleeding, vomiting, mouth, dragged off, weak, tired, worn out: On drinking 2-3 times per 1 cup coconut water (about 150ml), add sugar and a few grains salt, stir and dissolve drinking. * Reduces cholesterol and blood pressure control: regular daily eating and drinking young coconut water will effect regulate blood pressure and cholesterol-lowering contribution. * Is the food good for obese patients: For obesity, the country's copra and it works well in your diet everyday. Since it has been found in studies with coconut milk 100g body only provides 2 calories. And just 100g for the small copra have 41calorie, if compared with 100g rice rice will be seen to provide 350calorie, such as eating a small copra and coconut water will create a feeling of fullness to reduce eat. * Treatment and congestive heart failure, edema: When is treatment for this disease combination of fresh young coconut water is moderately effective therapies will increase due to the effect of coconut water and diuretic heart health. * Property Cure jackfruit, tapioca chips: Each time take half a coconut fruit drink at first, then feed copra in the morning when you are hungry. Eating all the time, no laxative, to 3 hours after eating may be different. * Cure constipation, bowel secrets: Every day eat half of a copra to 1 results in the morning and evening, to eat a few days will be more effective. * Cure depression, poor diet: Take grated coconut flesh cut into small pieces, cooked with sticky rice are tender bit of porridge, eat 2 times day, effective Pi conditions, appetizers. Need to eat a few days. * Cure scabies, fungal, cracked: Take coconut oil is pressed from copra, topical daily on an infected place, day 2-3 times apply until cured. * Cure seizures, heart attacks, joint pain: Take 30g coconut, terrific special drink water, 2 times a day, blood work activities pain free. * Healing appetite: Take small pieces of copra for the clay pot with a lid with sticky rice, chicken taste of each meal for 1. Tightly covered and cooked all the way into the water and cooked food. 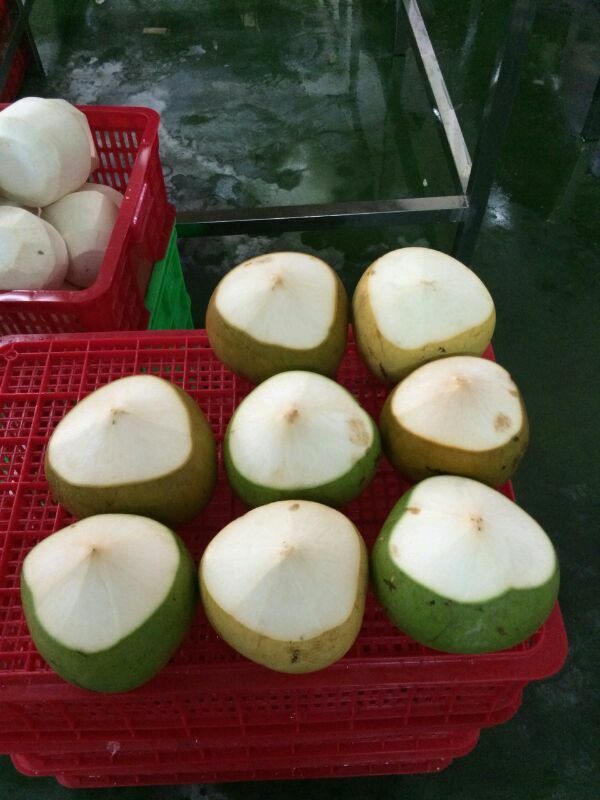 * Tri gastritis, intestinal: Get aseptic coconut water from fresh coconuts picked intravenous, each between 300 - 500 ml. (Only at the facilities for drying conditions dangerous to life). A coconut contains between 500 - 800ml coconut milk. * For the case of blood are damaged, can be debilitating: Copra grated into pieces or fibers and the water pressure in the tunnel with 30g crane characters, dark apple 50g, hens 1 child (wash cut pieces) , until the chicken and night eating, eating in divided doses during the day. Each week can eat 2 to 3 times. Need to eat in 2-3 weeks.